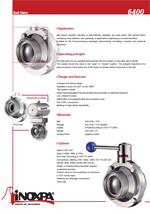 Sanitary ball valves, whether manually or automatically actuated, are used mainly with viscous fluids containing solid particles, and, generally, in applications requiring an unobstructed flow. Suitable for the food-processing, beverage, wine-making, oil-making, cosmetic and chemical industries. 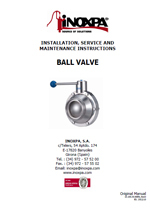 The ball valve can be operated automatically with a ball valve actuator or manually with a handle. 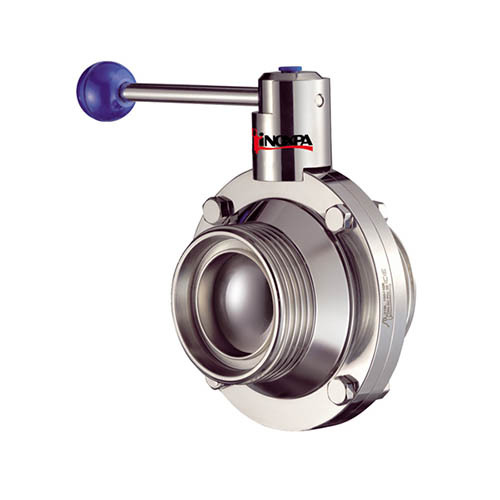 The handle blocks the valve in the "open" or "closed" position. The actuator transforms the axial movement of the piston into a 90º rotary movement which it transmits to the ball. Available in sizes DN 25/1" to DN 100/4". Easily interchangeable manual handles and pneumatic or electrical actuators. Half-bodies exchangeable with any connection type. Marking of seals allows traceability. Seals in NBR, VMQ or FPM. Connections: welding, DIN, Clamp, SMS, RJT, FIL-IDF, etc. Handle, lever, safety handle with lock,etc. Position sensors (micro-switches or inductive). Summary Las válvulas de bola, de accionamiento manual o automático, se pueden utilizar principalmente para líquidos viscosos, que contengan sólidos y en general en aplicaciones que requieran un flujo que no se obstruya. 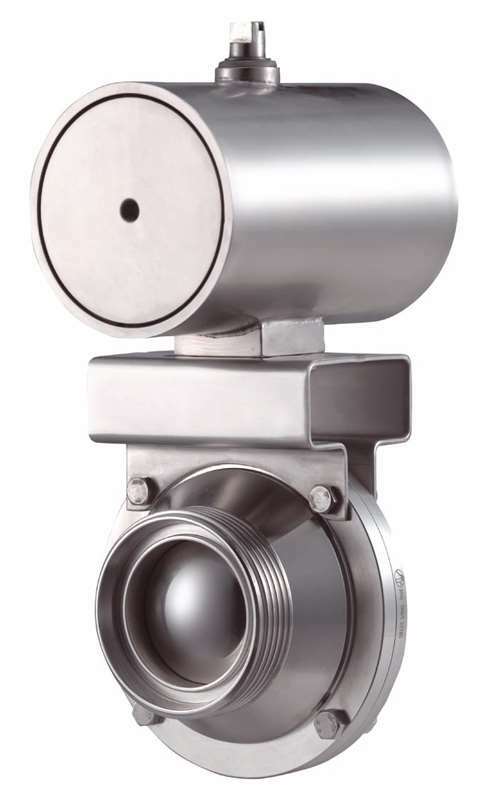 Summary Ball valves, whether manually or automatically operated, are used mainly with viscous fluids containing solid particles, and, generally, in applications requiring an unobstructed flow. 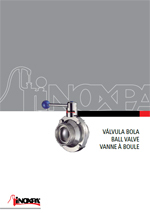 Summary Les vannes à boule, à commande manuelle ou pneumatique, peuvent être notamment utilisées pour des liquides visqueux qui contiennent des solides et, en général, dans des applications qui requièrent une vanne à passage intégral. Summary Le valvole a sfera, con azionamento manuale o automatico, si possono utilizzare principalmente per liquidi viscosi, che contengano solidi e in generale nelle applicazioni che richiedano un flusso totale e che non venga ostruito. Summary Manuell oder automatisch angetriebene Kugelhähne werden meist bei feststoffbeladenen Fluidprozessen und ohne örtliche strömungsverluste eingesetzt. Summary Шаровые краны предназначены для ручного или автоматического управления потоками жидкостей с механическими включениями, обычно используются в приложениях, требующих беспрепятственного потока среды. Summary This instruction manual contains basic indications which should be fulfilled during the installation, starting and maintenance.